Silver Dolphin Books, 9781684129225, 144pp. In the pages of this humorous, illustrated chapter-book diary, you’ll find out that life is not always a blast—even if you’re an exploding Minecraft creeper! Minecraft creeper Mervyn Miles has just one goal: to win the annual Creeper Combustion and Confusion Competition so his father will finally be proud of him. But, between family and school pressures and bullying by arch-rival Wesley, things turn out to be more difficult than Mervyn could have ever imagined. 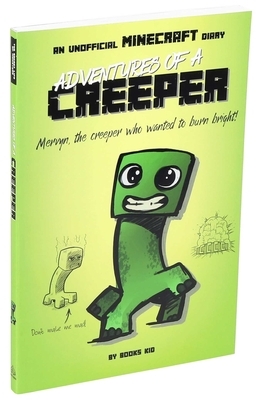 Read all about this little green monster’s quest to become the biggest exploder in the entire Overworld in this humorous, unofficial Minecraft chapter-book diary with black-and-white illustrations.